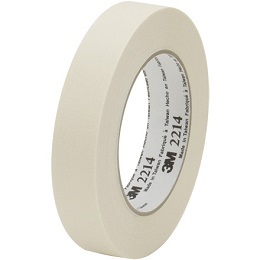 3M 2214 Masking Tape is a pressure sensitive tape used for holding, bundling, sealing or for non-critical masking applications. Maintain durability when formed around a corners. Natural crepe paper backing with a rubber adhesive.